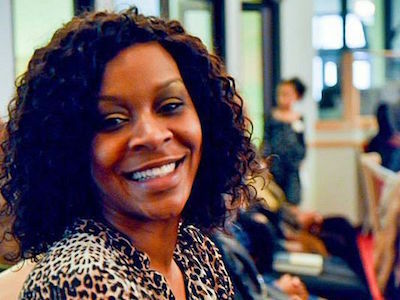 The 2015 death of twenty-eight-year-old Sandra Bland in a Texas jail cell helped serve as a reminder that Black Lives Matter meant women as well. Sandra Annette Bland, the second-youngest of five daughters, was born on February 7, 1987, in Naperville, Illinois. Raised by a single mother, Bland became active in the church at age ten and began playing the trombone. Bland graduated from Willowbrook High School in Villa Park, Illinois, in 2005 and earned a marching band scholarship to Prairie View A&M University, a historically black institution in Prairie View, Texas. Bland completed her degree in agriculture at Prairie View in 2009 and soon moved back to Illinois. In January 2015, Bland began posting a series of videos on social media under the title “Sandy Speaks” in which she editorialized about a number of topics, including police brutality, inattentive parents, and her own emotional struggles. On July 9, she traveled back to Texas for a job interview at Prairie View A&M and was hired as a community outreach coordinator at her alma mater. The next day, Bland returned to Prairie View to fill out some paperwork. Shortly after leaving the university, she was pulled over by Brian Encinia, a white state trooper, for changing lanes without signaling. Dashcam video from the trooper’s car recorded Encinia ordering Bland to extinguish her cigarette, and then ordering her out of the car when she refused to do so. Bland questioned Encinia, who drew his stun gun. After Bland exited her car, the two disappeared from view and sounds of a struggle were heard. Bland was soon handcuffed and booked into the Waller County Jail in Hempstead, Texas, on suspicion of felony assault on a public servant. Her bail set at $5,000. Over the next three days, Bland made several phones calls from jail to friends and family. On morning of July 13, 2015, police reported Sandra Bland had used a plastic bag to hang herself in her cell. Bland’s friends and family immediately questioned the story, which came in the midst of the Black Lives Matter movement and unprecedented scrutiny and discussion of professional misconduct by law enforcement against African Americans. Waller County Sheriff R. Glenn Smith said Bland stated that she had previously attempted suicide during her booking, but she was not placed under suicide watch. Friends and family insisted that Bland was not depressed or suicidal but simply angry about being in jail and the circumstances surrounding her arrest. In addition, serious questions about the credibility of the Dashcam footage were raised as Texas officials, who were forced to publicly deny any editing had taken place, released multiple versions of the video. Jason Keyser & Michael Graczyk, “Friend: Sandra Bland ‘in good spirits’ before jail death,” AP: The Big Story, July 18, 2015, http://bigstory.ap.org/article/f0dff63b60cc4593821efe63cfe84c44/friend-sandra-bland-was-good-spirts-jail-death; David Montgomery & Michael Wines, “Dispute Over Sandra Bland’s Mental State Follows Death in a Texas Jail,” The New York Times, July 22, 2015, http://www.nytimes.com/2015/07/23/us/sandra-blands-family-says-video-sheds-no-light-on-reason-for-her-arrest.html?_r=0; Kiah Fields, “We will not forget you: Happy birthday, Sandra Bland,” The Source, February 7, 2016, http://thesource.com/2016/02/07/we-will-not-forget-you-happy-birthday-sandra-bland/; James Queally, “What happened to Sandra Bland before she died in a Texas jail?” The Los Angeles Times, July 28, 2015, http://www.latimes.com/nation/nationnow/la-na-nn-sandra-bland-20150728-htmlstory.html; David Montgomery, “Texas Trooper Who Arrested Sandra Bland Is Charged with Perjury.” The New York Times, January 6, 2016, http://www.nytimes.com/2016/01/07/us/texas-grand-jury-sandra-bland.html. with Perjury.” The New York Times, January 6, 2016, http://www.nytimes.com/2016/01/07/us/texas-grand-jury-sandra-bland.html.